Part of our Westward Ho! 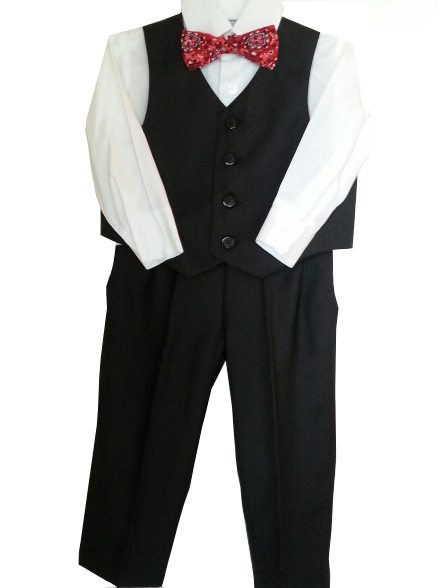 Kids Western Formal Wear Collection. This 4-piece suit includes a lined vest, dress pants, a white dress shirt, and a red bandanna bow tie. The pants have an elastic back, front fly, pockets, pleats and belt loops. Made of quality matte polyester with a poly-rayon look and feel. The shirt is a cotton poly blend. Ideal country rustic wedding choice. Imported.